Albert Einstein once said, "The hardest thing in the world to understand is income taxes." When a man who is believed to be one of the smartest people of the 20th century has an issue with the way income is taxed, you can rest assured that it is not a simple subject. Taxpayers are expected to understand it well enough to be able to make good decisions about our own financial situation. But if understanding basic income tax isn't enough of a headache, the taxes on investment earnings (such as in your RRSP) represent a whole new territory. Below are some steps to help understand each of the different types of investment income, how it is taxed and, as a result, why it matters what type of account you use for different types of investments. The simple answer is that, for the most part, investment income is taxed exactly the same way as other earned income. What makes things hard to calculate is the amount of the investment growth that is taxed, because not all of the growth is actually taxed all the time. Fixed income vehicles, such as bonds, GICs and term deposits pay you interest on your investment, thereby generating interest income. Interest income is taxed just like any other earned income. So, if you deposit $100 into a GIC at five per cent interest, in one year, you will have to declare 100 per cent of that $5 you earned in interest on your income tax return. Also, bear in mind that interest income is taxed every year regardless of whether it has been withdrawn. At a marginal tax rate of 35 per cent, the tax on $5 in interest is $1.75. Finally, you can consider each dollar of interest to be taxed at your marginal income rate, since it is additional income earned to you regular income. 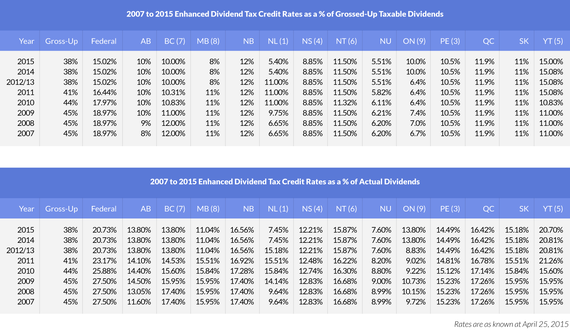 In this respect, interest income is the least favourable type of investment income. Equity investments (typically stocks) can appreciate in value. This is called a "capital gain." If you invest money in a company at a price per share of $10 and, over time, those shares appreciate to $15, you now have $5 per share of capital gains. However, you will only need to pay the capital gains tax when you sell the share and realize the gain. What makes capital gains different than other earned income is that only 50 per cent of the total capital gains are taxed. So, when your share appreciates by $5 and you sell it, you only have to declare $2.5 as income and pay income tax on it. At a 35 per cent marginal tax rate, the tax is $0.88. As a result, capital gains often represent the lowest income tax burden of the three types of investment income, and they are typically preferred because we have some control over when we sell and trigger the capital gains tax. Whether or not they are most efficient depends on your province of residence. It is also important to note that even if you do not withdraw the money from your account to spend it, capital gains can be triggered when you change investments within your taxable account. If the new investments are substantially different than the original investments, or the same old investment is repurchased more than 31 days later, this will trigger capital gains. Dividends are a way for a corporation to share its profitability and success with its shareholders, without shareholders having to sell shares. Dividends are the most complex type of investment income when it comes to taxation. 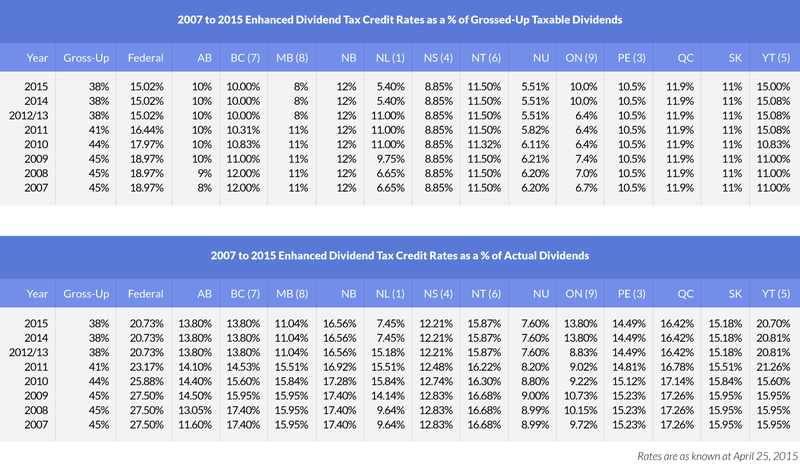 Taxation of dividends in Canada has two major parts that make it different from other taxation: gross up amount and dividend tax credit amount. When a dividend amount is determined, the amount is grossed up by some percentage -- usually 38 per cent. Next, the income tax is calculated on the grossed-up amount and, finally, the dividend tax credit is subtracted from that. The result is the final tax payable on the dividends. Confused yet? Dividends may have the lowest dollar value of taxes, but the tax is payable when dividends are paid out and for most equity investments -- that is, on a regular basis -- making the tax on dividends an ongoing burden. But not all dividends are taxed the same way. The above method applies to eligible dividends. Eligible dividends are dividends declared by the issuing corporation, and are as such eligible for enhanced dividend tax credit. Non-eligible dividends are paid out by companies that are eligible for a small business tax rate, are tightly held and use dividends to share profit between its operating shareholders and shareholders eligible for return of capital. They normally do not apply for retail investments. 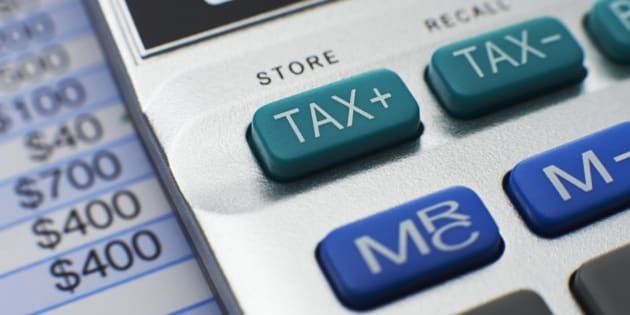 Tax deferred accounts such as RRSPs and tax sheltered accounts such as TFSAs are best used for the least favourably taxed investment income, such as interest income. Dividends are often used for corporate structures, small business owners and sole operators who can save on taxes by declaring dividends rather than paying themselves a salary. Using the right account can make a big difference in tax advantages. It's worth speaking to a financial advisor on the subject to best optimize your investments.